More often than not, I crave home flavors. The stylings of food rooted deeply in the great gumbo pot of the South, the most basic vittles based in hillbilly essentials and seasoned with heart. And, over the years and many varied moves, I have adapted those tastes and flavors exotic and new to me into the fold, taking that which my granny taught me and adding a splash of flavor standards from other regions I called home, from recipes of friends near and far, from cookbooks of the other side of the world. To wit, this. 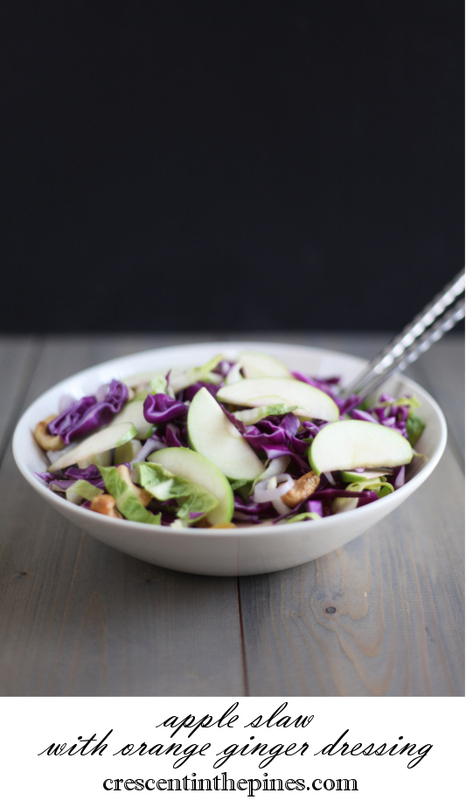 A recipe founded in that most basic concept of apple slaw, a roots food autumn staple, while gently folding in a layer of Asian influence, taking the basics of cooking with spices common to my much adored Thai dishes and rolling them back into Southern equivalents, just for a bit of flair. Out went the more common mustard and lemon replaced with orange and ginger, ideal for fall. 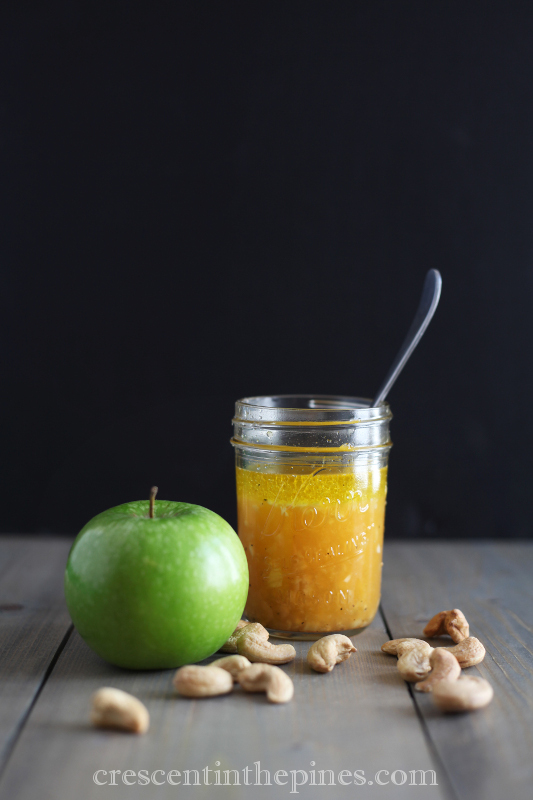 To make the dressing, combine all ingredients in a small jar with lid and shake to blend. If you do not have a jar available, they can be briskly stirred together in a small bowl. 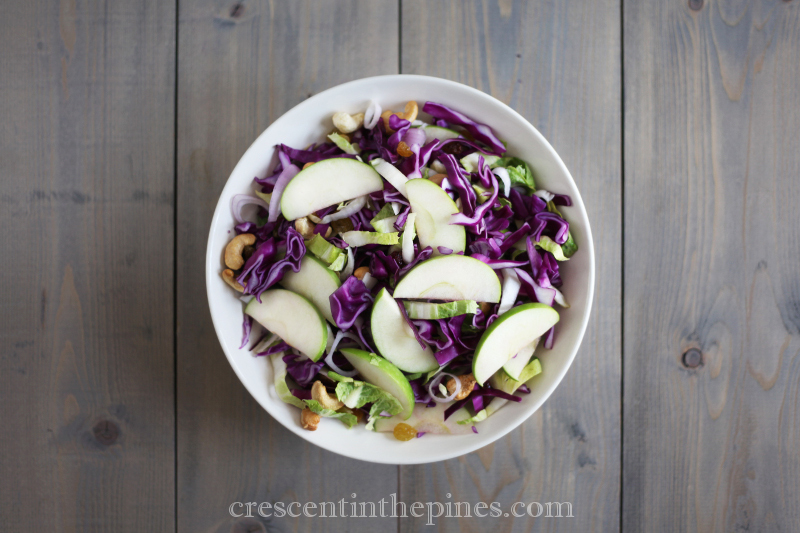 Combine cabbage, endive, apple, raisins, and cashews in a large bowl. Pour dressing over cabbage mixture and toss to fully coat. Serve immediately. While the dressing can be made in advance and stored in the refrigerator, the salad should only be prepared immediately before serving.